Today is our final Speaker Spotlight feature, bringing an insight into the fantastic arena talk programme and some fascinating facts about the speakers behind them. Blaine Bettinger, Ph.D., J.D., is a professional genealogist specializing in DNA evidence. In 2007 he started The Genetic Genealogist one of the earliest blogs on the topic. Blaine is the author of The Family Tree Guide to DNA Testing and Genetic Genealogy, and co-author with Debbie Parker Wayne of the award-winning Genetic Genealogy in Practice. He also co-authored “Genetics for Genealogy” with Judy Russell in 2018’s Professional Genealogy: Preparation, Practice & Standards (ProGen PPS) (Elizabeth Shown Mills, Author and Editor). 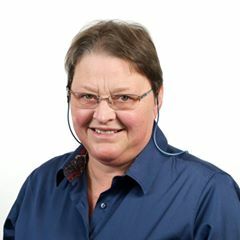 Blaine is or has been an instructor for genetic genealogy courses at the Institute of Genealogy and Historical Research (IGHR), Salt Lake Institute of Genealogy (SLIG), Genealogical Research Institute of Pittsburgh (GRIP), and Virtual Institute of Genealogical Research. Is DNA evidence essential for genealogical research or is DNA testing mostly for fun? Together we will critically examine the role of DNA evidence in genealogy, including when it should be considered and whether it is ever essential. I am traveling from Syracuse in beautiful Upstate New York. That’s about 3,350 miles as the crow flies! I am most looking forward to meeting new people and seeing old friends. As much as we all love the dead, the living are what make genealogy so special. And one of the great things about genealogy is that “new people” become “old friends” very, very quickly! It was an assignment in middle school to fill in a family tree. I called my grandmother who helped me fill out many names just from memory (most of which turned out to be very accurate! ), and I was hooked. 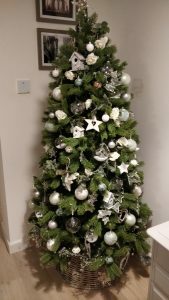 I’ve spent the time since trying to fill out the rest of that tree! They can find me in the Genetic Genealogy Tips & Techniques group on Facebook, or at my blog The Genetic Genealogist (www.TheGeneticGenealogist.com). In second grade, a piece of art I created won an “I Love New York” contest and was featured in the state capital and on paper placemats at fast food restaurants throughout the state. Unfortunately, my artist skills never developed any further than the second grade! 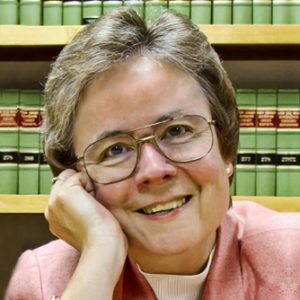 The Legal Genealogist, Judy G. Russell is a genealogist with a law degree. She writes, teaches and lectures on a wide variety of genealogical topics, ranging from using court records in family history to understanding DNA testing. She is a member of the Association of Professional Genealogists, the National Genealogical Society and numerous state and regional genealogical societies. 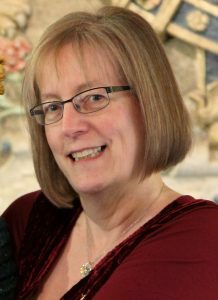 She has written for the National Genealogical Society Quarterly (from which she received the 2017 Award of Excellence), the National Genealogical Society Magazine, the FGS Forum and BCG’s OnBoard among other publications. Getting to meet some of my international colleagues and learning more about research repositories I haven’t yet had a chance to use. Need to do some last minute shopping and not sure what to get a family history loving relative? 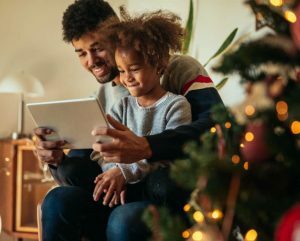 Here are five ideas you could put under the tree for a genealogist! 1. Give them a day out with a difference with tickets to THE Genealogy Show. Click here to purchase day tickets or weekend passes. 2. A DNA testing kit. For a DNA test like no other, visit Living DNA for full details and special offers. 4. Pen and Sword Books: Bringing you closer to the past. With a huge selection of publications, there is something for everyone. Click here to browse titles and special offers. 5. 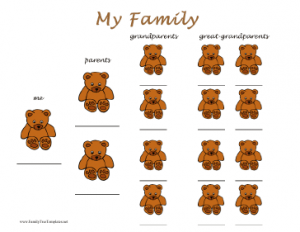 A Home Archive Starter Kit or a Family Tree Chart. Readily available from many online retailers, there are items to suit all budgets and some even offer the opportunity for personalisation. 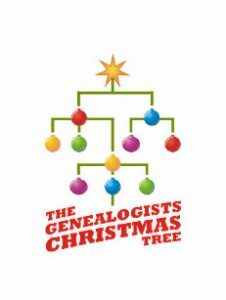 With Best Wishes for the Holiday Season and watch this space for exciting new features and news regarding THE Genealogy Show coming soon. Oh Family Tree, Oh Family Tree, How lovely are thy ancestors! 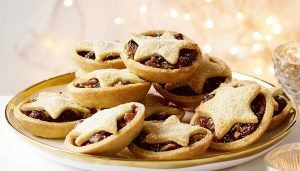 I’m genetically predisposed to mince pies! If you are looking for ideas on how to engage and encourage children into the world of family history before attending THE Genealogy Show, look no further. Janet has some very useful hints and tips in an article published in the January 2019 edition of WDYTYA Magazine, which is currently available to purchase. The penultimate feature brings an insight into the fantastic arena talk programme and some fascinating facts about the speakers behind them. Liv is a professional genealogist specializing in Norwegian family history research. She has presented workshops, classes, and webinars internationally on Norwegian genealogy. In this lecture, Liv will give her listeners an idea of the varied sources that can be used to give the genealogist a richer story about their Norwegian relatives. She will look at vital records, censuses, maps, available books and newspapers, pictures and artefacts, and where to find these sources. Searching for Norwegian records is not that difficult as some sites are in English, including where to find help in using the language and translating texts. Norway has a rich written family and local history. Liv will direct you to where you should look for your Norwegian connections. I feel I am not traveling far. An event the size of THE Genealogy Show is not common in Norway and is worth travelling for. The trip will take me 5 hours. I look forward to meeting all my international genealogy friends. I see them only once or twice a year and it is a treat to meet, talk and enjoy the common denominator our love of Genealogy. The size of the exhibition is much larger abroad than in Norway. It is like being a kid in a candy store. My librarian mother had genealogy and local history as her hobby . I helped her with the technical stuff and from there I started doing the genealogy for the part of the family that she did not have time for. I have now been doing genealogy for 20 years and this year I started working as a professional genealogist. My blog: Genealogical research Norway. Exploring Norwegian genealogy with Liv Birgit Christensen. My given name is Liv Birgit. Liv means life. The second given name is after my grandmother Birgit. A name that goes back more than 2 centuries in our family. My mother wanted to give me two names. Rjukan where she was born has a lot of special names and spellings, even for an ordinary Norwegian. One of the names is Wiel, any Norwegian would believe it means “to rest” as in taking a break. I am glad that she chose the more ordinary name, Liv. Phil Tomaselli had been researching the British Army since he was at school and in recent years has written guides to finding out about it (and the other armed forces) for Pen & Sword, as well as several other books. He’s also written for a number of family history and history magazines and is a regular speaker for The Western Front Association. Military records are probably the largest surviving and oldest set of records that mention individuals by name and allow you to trace information on them, but they’re not the Holy Grail and many family historians are disappointed about what they find when they look at them and aren’t sure why they were created and how to interpret them. Even though many are on line, even more aren’t, and this illustrated talk will give examples of where to find them, what to expect when you do and how to use them, including some hints on how to work round problems and get the most from them. We are excited to announce the first of our Show Sponsors: Living DNA. You will be able to find Living DNA in the exhibition hall with a comprehensive display stand, DNA kits to purchase on the day and experts on hand to offer assistance. 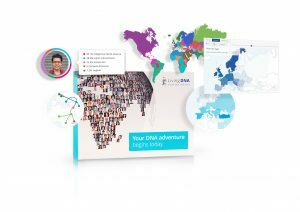 Living DNA is a collaboration of over 100 world-leading scientists, academic researchers and genetic experts from across the globe with the purpose of bringing cutting edge DNA technology to the world. The company is run by David Nicholson and Hannah Morden-Nicholson who saw an opportunity to show humanity that we are all made up of all of us, dissolving the concept of race through Ancestry DNA testing. Find out where you really came from with our most detailed 3-in-1 DNA ancestry test.